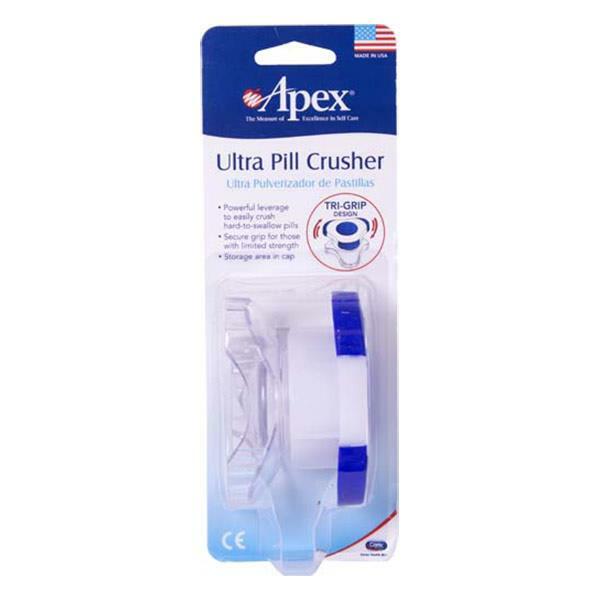 The Apex Ultra Pill Crusher has been designed for those who find it hard to swallow pills as a whole. This pill crusher includes a powerful leverage which helps to easily crush hard to swallow pills. It also has a secure grip for those with limited strength.